NEW ROOF 2018! WELCOME TO BEAUTIFUL (AND POPULAR) ROCK SPRINGS RIDGE COMMUNITY! 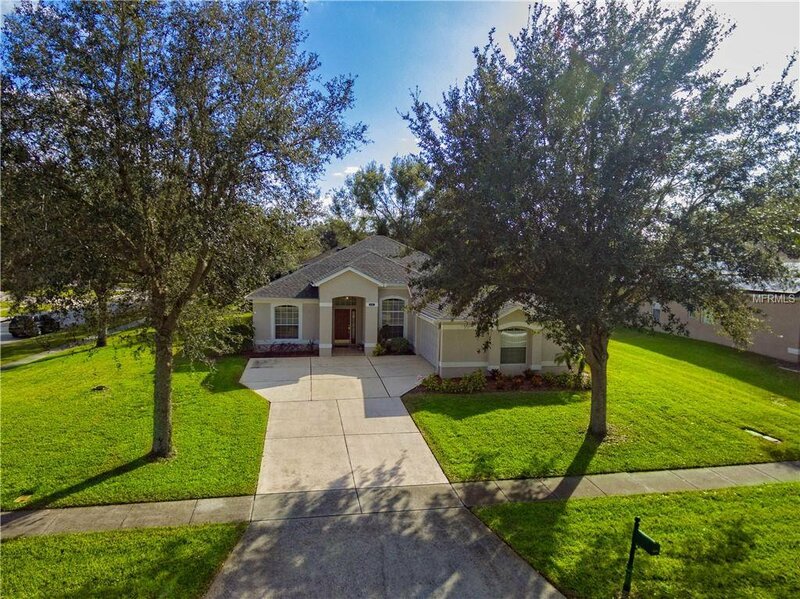 This GORGEOUS 4 BEDROOM & 2 BATHROOM POOL HOME is situated on a LARGE 1/3 ACRE CORNER LOT! The FENCED BACK YARD has a LARGE LANAI AND POOL that also possesses a HEATED SPA for year round relaxation! Back to the front you can appreciate the SIDE ENTRY GARAGE and LONG DRIVEWAY. Your guests can easily park in the driveway and not the street! Architectural Niches & Details are found throughout the home: ROUNDED CORNERS, TREY CEILING IN DINING ROOM & SPLIT BEDROOM FLOOR PLAN. No Carpets throughout the house allowing for beautiful tile and even more beautiful HARDWOOD FLOORS in ALL BEDROOMS! The kitchen features upgraded cabinetry and granite counters. Eat comfortably with a dinette area and formal dining room as well. Outdoor Activities and Family Fun abound at the nearby Northwest Recreation Complex featuring multiple athletic fields, tennis courts, basketball courts, amphitheater, walking paths and playgrounds. Conveniently located to shopping, dining & easy access to Hwy 429 & all that Central Florida has to Offer! Listing courtesy of LA ROSA REALTY, LLC. Selling Office: PREMIUM PROPERTIES R.E SERVICE.